Sometimes in life, you can have your cake and eat it too. As homeowners across the country continue to benefit from record low interest rates, property values are rising, as evidenced by the February Case-Shiller Index which showed that home prices increased 5.7% from a year earlier. As a result, more and more homeowners are doing cash-out refinances to make home improvements, to eliminate their Home Equity Lines of Credit (HELOC), or to pay off other debt. The appraised value of your property determines how much equity you can access. Cash-out refinance guidelines are not quite as liberal as they were during the real estate bubble, but they’re still quite reasonable. You’re going to need to show that there is sufficient value in your property to support the refinance. Fannie Mae and Freddie Mac’s cash-out refinance programs will require that the amount of your new loan (including your cash proceeds) not exceed 80% of the value of your home. There are exceptions to this rule–FHA cash-out refinances only require an 85% loan-to value-ratio (LTV) and the Veterans Administration (VA) allows Veterans to borrow even more. Good credit is a definite plus. Remember, a cash-out refinance involves borrowing more against the value of your property than you were previously, so a lender is definitely going to want you to see good credit. And, the lower your FICO score is the more expensive the refinance will be. As a good rule of thumb, your FICO score should be greater than 680 for Fannie Mae and Freddie Mac cash-out refinances, and greater than 620 for FHA and VA cash-out refinances. Make sure you’ve made your mortgage payment on time for the past year. A popular cash-out refinance requirement for many programs is that your mortgage payment history be nearly spotless. Typically, lenders will only allow you one late payment in the past year. Don’t carry a lot of debt. Again, cash-out refinance guidelines for many programs require lenders to verify that that the new mortgage payment not exceed 28% of your gross monthly income, and not exceed 36% of your gross monthly income after adding in your credit card payments, car payments and any other installment debts. Cash-out refinances can be a great way to pay for home improvement projects. Reinvesting in your home can pay big dividends, especially in the long-term. A cash-out refinance allows you to finance a large home improvement project without having to tap into your personal savings or other investments. Cash-out refinances are up 68% from this time in 2014 and are at their highest volume in five years as many families are opting to remodel their kitchen, build a new addition, or replace their roof. Cash-out refinances can help you get rid of your Home Equity Line of Credit (HELOC) before it resets. In the past few years, many homeowners have obtained a second mortgage line of credit (also known as a HELOC). Many of these HELOCs come with an Adjustable Rate feature. HELOCs can be very risky because in addition to the variable interest rate, many HELOCs require the borrower to make “interest-only” payments during the early years of the loan. However, when the HELOC ultimately resets, the borrower has to begin making much larger principal payments. A cash-out refinance can help you dodge this bullet by enabling you to consolidate your first mortgage payment with your HELOC, and thereby reduce your overall monthly payment. 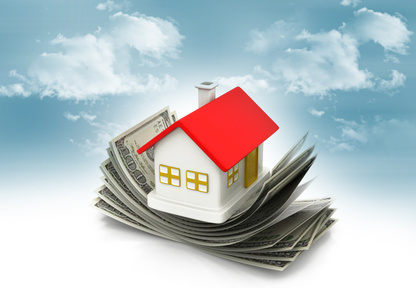 Now that interest rates are low, it’s time a take a look at doing a cash-out refinance. For many reasons, thousands of homeowners are doing just that and discovering that they can enjoy a rare experience in their lifetime—they can have their cake and eat it too.